GIVEAWAY NOW CLOSED! CONGRATS TO OUR WINNER, K. REUSCH! Ready for a review and a giveaway?! Woot! Did someone say give-a-way?! It's been a while since we've done both on Upcycled Education. First, meet my new friend. The Shaxi iPad Case from Looptworks (retail $85). I. love. this. case. (I think that sums up my review). But, seriously, look. at. it. The Shaxi is made from all upcycled leather! Yes, you heard me. That leather was on its way to the dump - it was tossed out scrap leather - and now, it is our family's coveted iPad case - taking the place of our old, blue, roll-up case I paid $50 for at the Apple store (or was that Target) - you know, the $50 case that is falling apart. Piece of junk - that old case. Look at how at how sturdy she is built.....Lil O can drag that Shaxi and iPad around the house and it is totally protected. And my very favorite part is this.....the Shaxi can stand up on its own and adjust to numerous angles. Sure most iPad cases can do that, but from my experience most of the other cases aren't as sturdy when they do - the other cases slip, slide, and come apart. But, our Shaxi champions standing. I was afraid the gorgeous leather would get stained, torn, or scratched. Alas, it has been close to a month and it looks like the day it arrived. 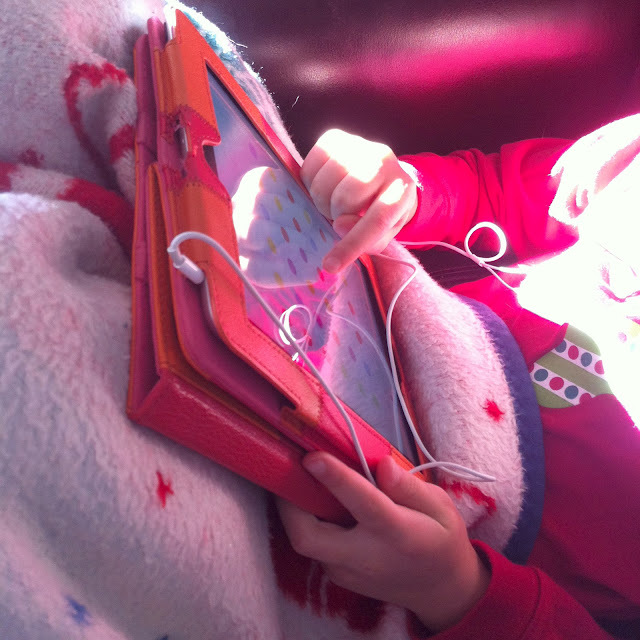 The only downfall we can tell is it slightly hard to adjust the volume on our iPad while it is nestled in its Shaxi. But, one strike against it doesn't sadden me. 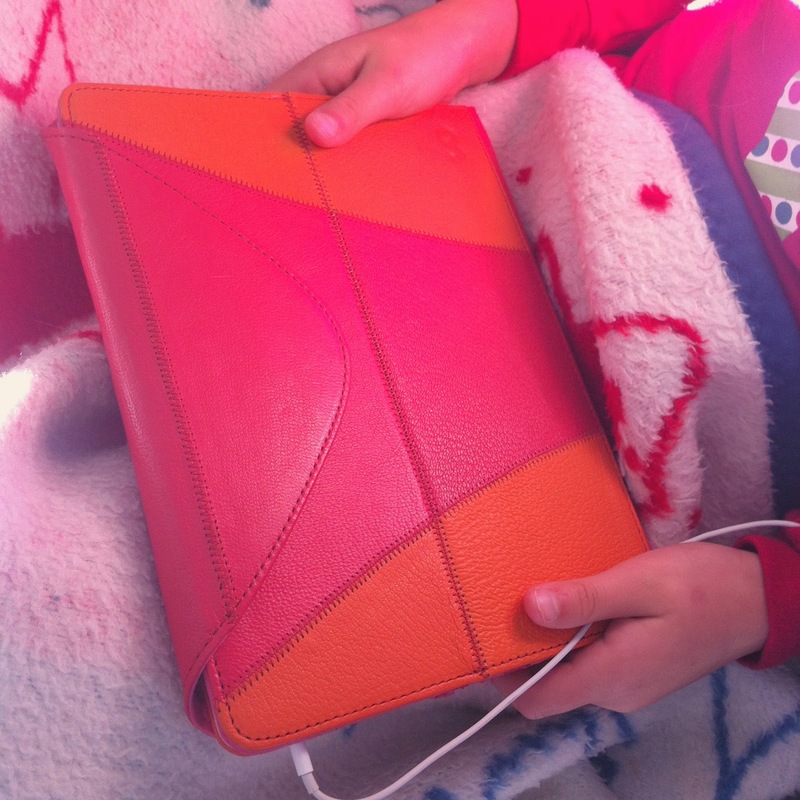 Today, we start the giveaway: one Shaxi iPad case of your color choosing! You can keep it for your lovely self or gift it to a friend for the holidays. Enter by commenting below sharing which color Shaxi you'd choose. One entry per person, duplicates will be nixed. For an additional entry, however, browse the Looptworks website and pick one other product you think is amazing - again, one additional entry per person. Enter by December 1st - midnight EST. The winner will be announced on Upcycled Education's Facebook page on Monday, December 2nd. VOID WHERE PROHIBITED. 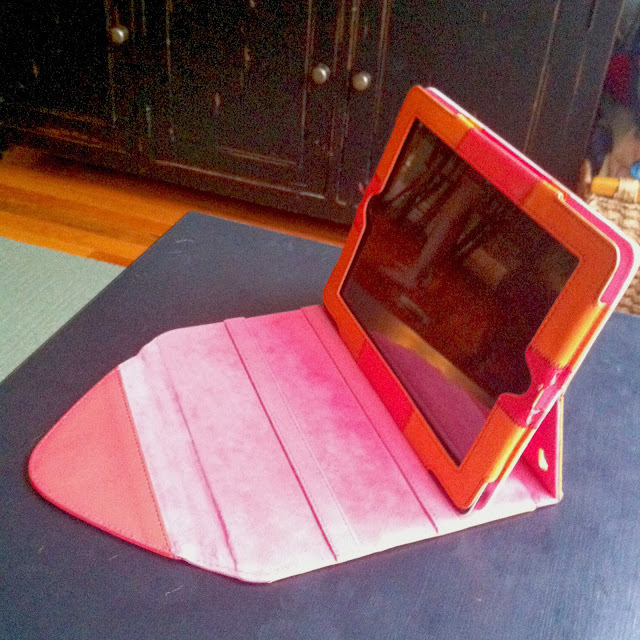 Yay for cool iPad cases and upcycled products! PS - Big thanks to Looptworks and all their Upcycled Education love & support and sharing a Shaxi with me!